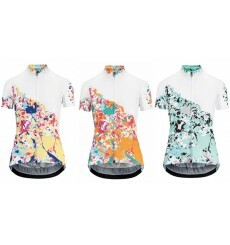 Lightweight and breathable, the style-savvy UMA GT SS jersey summer continues to usher in the expansion of Assos women’s collection, coming with a whole host of details that render it both high performing and ultra comfortable. 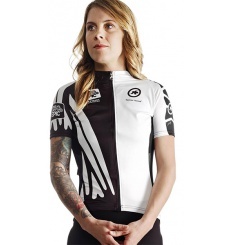 The ASSOS SS.laalalai Evo 8 women's jersey, light and comfortable, is suitable for warmer days. Aesthetically and technologically inspired by the Absa Cape Epic, the ASSOS SS.capeepicXC Evo7 is the perfect jersey for crosscountry mountain biking. The excellence and comfort for this ASSOS nS Superleggera sleeveless women's jersey. 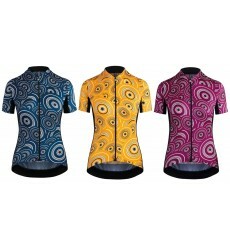 The excellence, comfort and rainbow for this ASSOS SS Lady women's jersey. 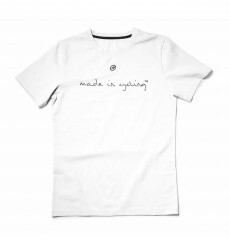 The ASSOS MADE IN CYCLING t-shirt for the true followers of ASSOS !